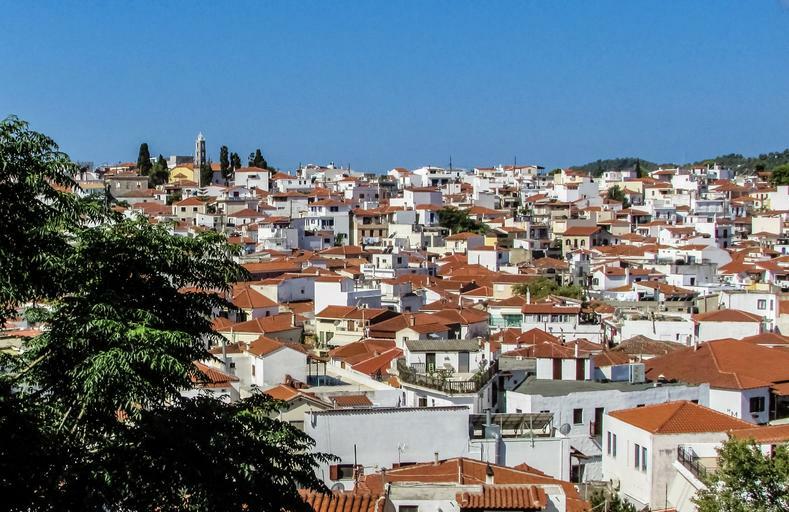 If you're not staying in Skiathos Town then it is well worth a day trip. It's a pleasant place to wander round, do some shopping, visit the art galleries, and have lunch or a drink in one of the places lining the waterfront. You can also visit the Papadiamantis Museum. Alexandros Papadiamantis was an acclaimed writer of both fiction and poetry, born on Skiathos in 1851 in the house that was previously on this site. His father built the present house in 1860 and it is now a museum devoted to the author. It's worth seeing even if you haven't read any of his books, several of which have been translated into English and are still available. He has been called the Dostoyevsky of Greece, and Skiathos features prominently in his work, though in his day it was a very different place, of course, and very poor. Another place to see is the town's cathedral, Trion Ierarhon, or the Church of the Three Bishops. It was built in 1846 and has some excellent icons, including the one which inspired the building of the Monastery of Panagia Kounistra (see below). 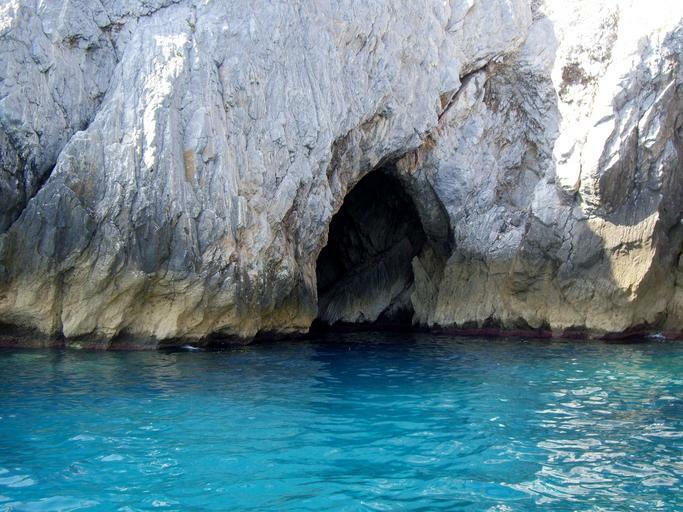 Just south of Skiathos Town are three spectacular sea caves: the Dark Cave (Spilia Skotini), the Azure Cave (Spilia Galazia) and the Copper Cave (Spilia Halkini). 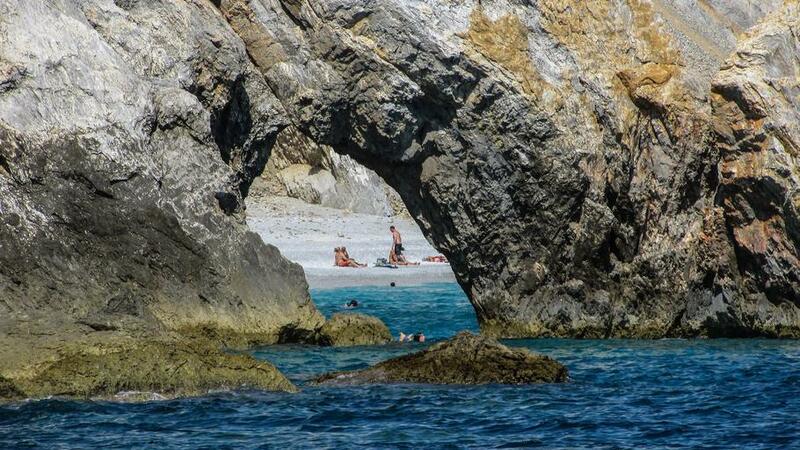 Boats leave Skiathos Town each morning during the summer, and it’s well worth the excursion to see these atmospheric sea grottoes. 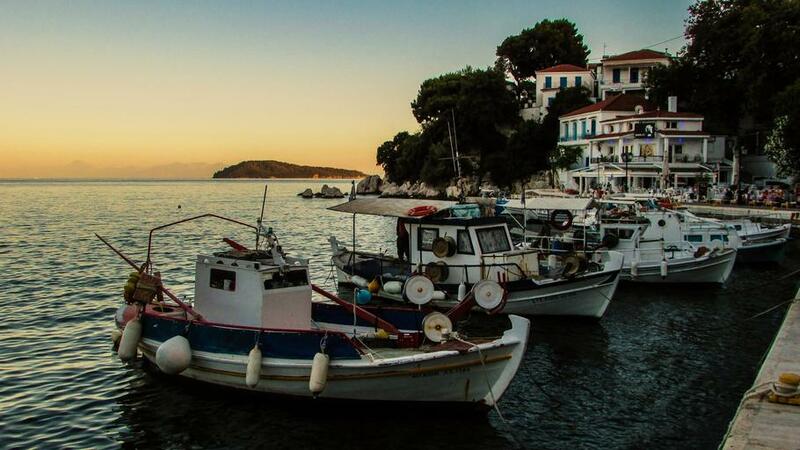 If you are staying in Skiathos Town, a great day out is to take a boat trip around the island. 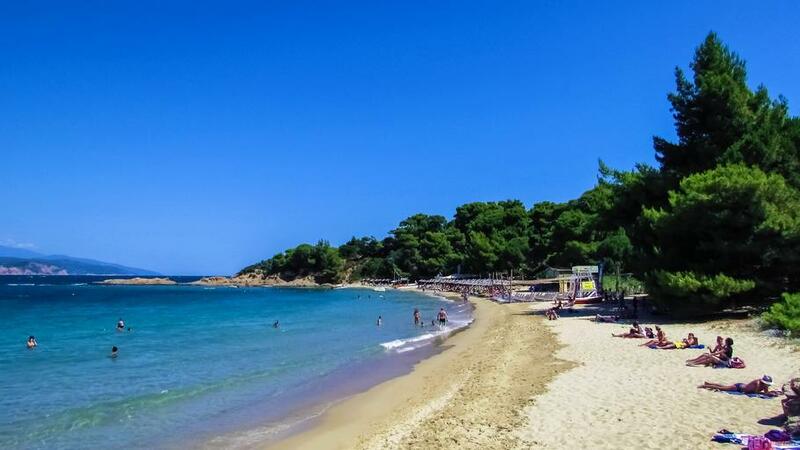 There are lots of options that stop off at different beaches on the way - and there are plenty of beaches on Skiathos to choose from! 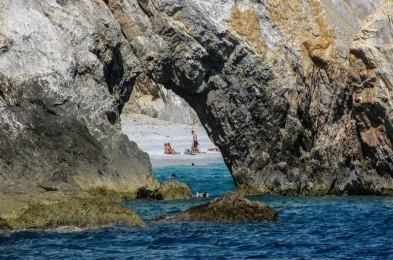 With dozens of beaches, Skiathos will keep beach bums happy for weeks. There are two dozen along the south coast alone, all easily reached in the summer by a regular bus service. It does mean they get crowded, though. One of the quieter ones is Mandraki Beach as it takes a bit of a walk from the bus stop to get to, and that reduces its appeal to some people, though others appreciate the walk through lovely woods. 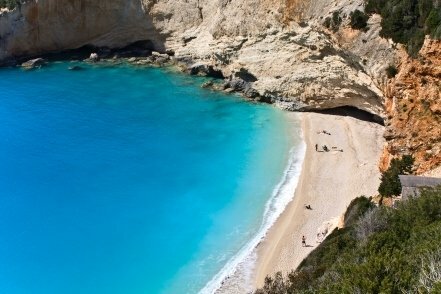 It's about a 30-minute drive from Skiathos Town, has nice golden sand, and a taverna in summer. There's another bunch of beaches on the northeast coast, one of the best being Lalaria Beach. 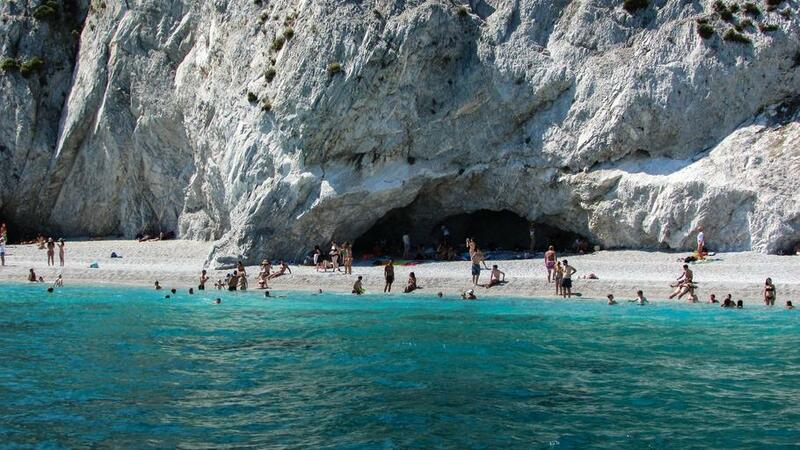 You can only reach it on a boat trip from Skiathos Town, and take provisions with you as there are no facilities. 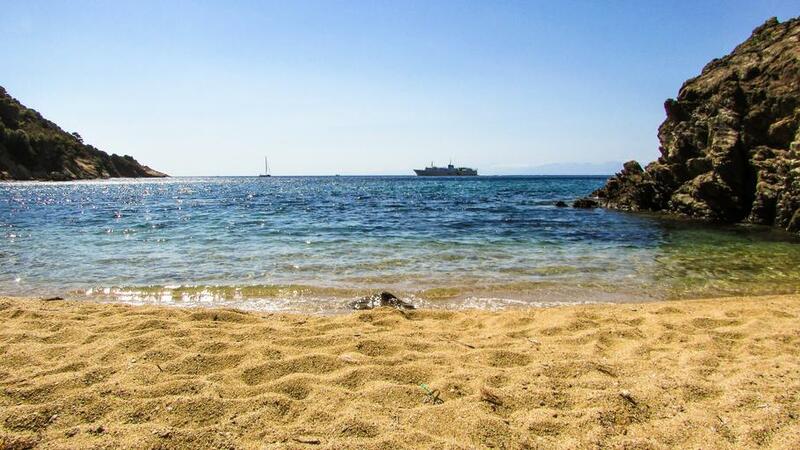 It's the only beach on Skiathos that is made up of small pebbles rather than sand. One word of warning: in the northeast you can get strong winds, so always ask about wind conditions before booking. If the wind is too strong the boats will take you to different beaches, and you won't get your money back if they can't get into Lalaria. 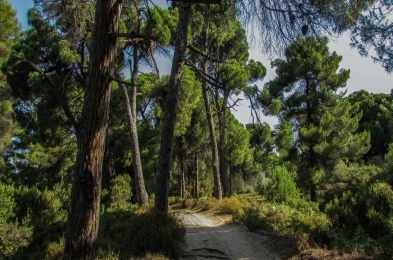 Hiking is definitely one of the best things to do on Skiathos as 70% of the island is forested so there's lots of shade. Bird life is abundant, as birds appreciate the shade too. In all there are 26 recognised hiking routes, and of course many more informal one. 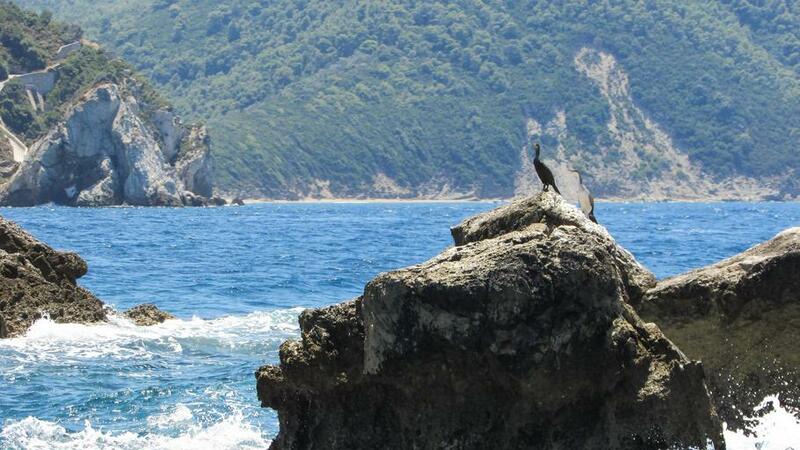 You can get lots of information on the Hiking Skiathos website, which is highly recommended. 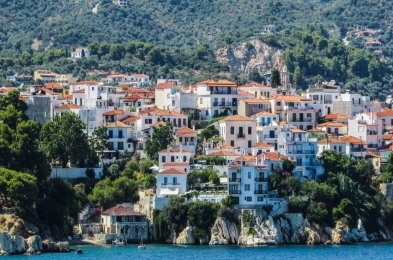 Skiathos has several old monasteries that can be visited. The most notable is the Monastery of Evangelistria (the Annunciation), which is a 10-minute drive or an hour's walk north of Skiathos Town. The monastery was founded in 1794 by monks who came from Mount Athos. It is revered because it was used as a base for freedom fighters during the Greek War of Independence. In 1807 they designed a new Greek flag, a precursor of today's flag, which was made here at the monastery. You can still see the loom on which it was made, and this was the first place in Greece where the national flag was raised. The Monastery of Panagia Kounistra is a 25-minute drive or a 2-hour hike to the west of Skiathos Town in a lovely location in the middle of a pine forest. Its name translates as The Swinging Virgin (! ), as the story goes that in 1650 a monk found an icon of the Virgin Mary swinging from the branch of a pine tree, and it inspired him to build the church here. It's noted for its fine frescoes and its wooden iconostasis. You can see the icon in the cathedral in Skiathos Town.